Your annual household income must be less than £80,000. You must be a first time buyer or existing shared owner. If you already own a home, you need to move but you cannot afford to, then please discuss your situation with us. There are some circumstances under which you could be eligible. To book an appointment or register your interest please contact our Customer Service Sales Team. 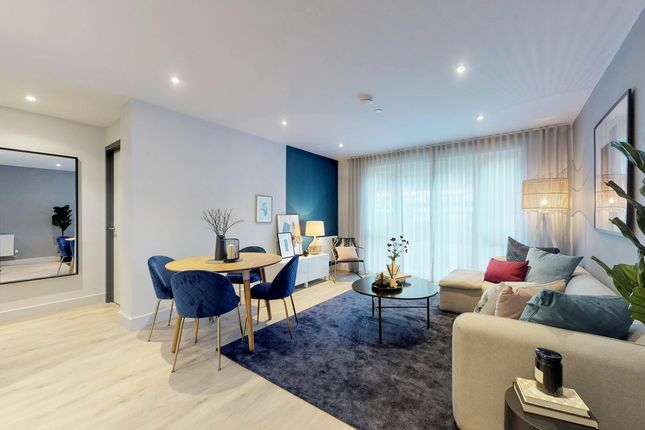 Godstone Road is a new collection of one and two bedroom shared apartments, situated in Whyteleafe, Surrey. An ideal opportunity for first time buyers, couples, professionals and young families living or working in the area. Godstone Road is only 35 minutes from London Bridge* by train – making it the perfect location for your new home. For your day-to-day needs, Whyteleafe village itself provides an excellent range of amenities – including a Post Office, bakery, doctor’s surgery, M&S Food and assorted other stores. Other supermarkets, shops and services are available in the nearby towns, Caterham offers a Morrisons and Waitrose, in Purley a large Tescos and in Kenley a Co-op. High street names are available in Caterham and Purley, as well as a range of independent shops, markets and boutiques. For young families, there are a number of quality schools in the immediate area, including Whyteleafe School (“Good”), Kenley Primary School (“Good”) and Warlingham Secondary School (“Good”). Other excellent schools in the wider area include Harris Primary Academy Kenley (“Outstanding”) and Riddlesdown Collegiate (“Outstanding”). Please note: These prices are to be used as a guideline only as they may change. Property descriptions and related information displayed on this page, with the exclusion of Running Costs data, are marketing materials provided by Clarion Housing Group - Godstone Road, and do not constitute property particulars. Please contact Clarion Housing Group - Godstone Road for full details and further information. The Running Costs data displayed on this page are provided by SmartNewHomes to give an indication of potential running costs based on various data sources. SmartNewHomes does not warrant or accept any responsibility for the accuracy or completeness of the property descriptions, related information or Running Costs data provided here.